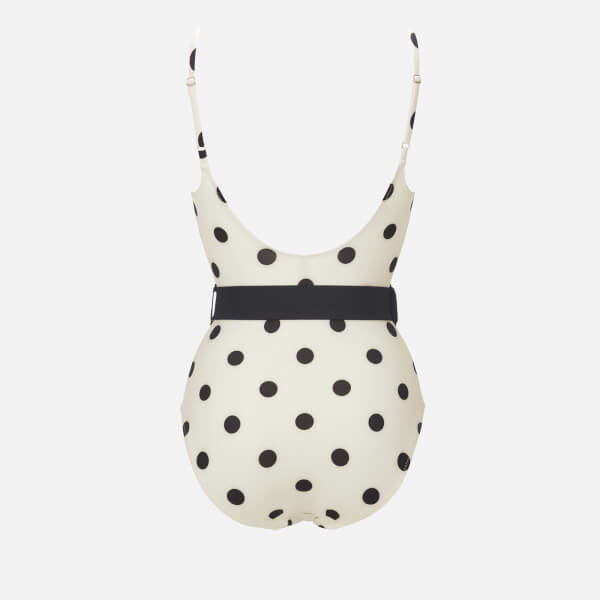 Polka dot swimsuit from Solid & Striped in a cream and black colourway. 'The Nina' one-piece showcases a leotard silhouette with a scoop neckline and adjustable spaghetti straps. 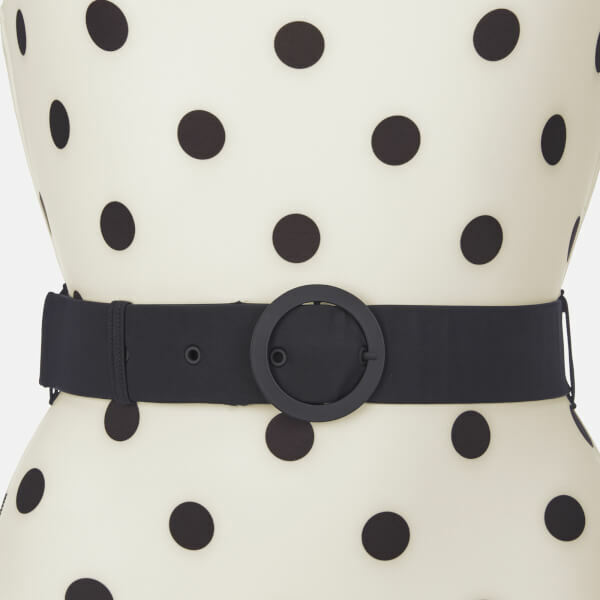 An adjustable, detachable and elasticated belt accentuates the waist for a form-flattering fit. Complete with two belt loops and zigzag stitching. Shell: 95% Polyamide, 5% Elastane. Lining: 85% Polyamide, 15% Elastane.